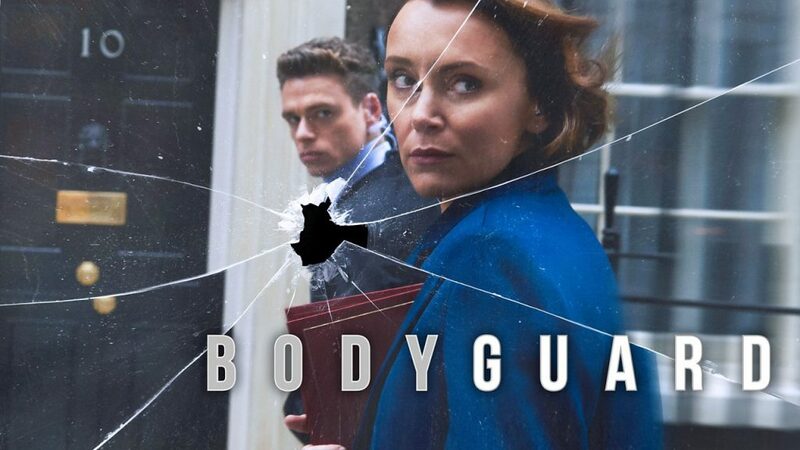 Bodyguard is a BBC produced show that was internationally distributed by Netflix about a war veteran cop in the UK named David Budd, who is assigned to protect Julia Montague, the home secretary. Richard Madden from Game of Thrones, Keeley Hates, Sophie Rundle and more. The show starts off brilliantly. The first 20 minutes are in a train where a suicide bomber is about to detonate the bomb. One of the best parts about this sequence is how intense it is. It also lays the groundwork for David Budd’s character perfectly as his attempts to stop the suicide bomber are actually pretty emotional and instantly helps the audience fall in love with the character. After this intense sequence, the rest of the pilot is also fantastic. We see Budd’s family and his work life and it creates an interesting , complex and damaged character to follow for the rest of the show. It also sets up a lot of plot points for the rest of the season. However, the show takes time to live up to the pilot. In fact, it doesn’t until the series finale. My biggest problem with episode 2 and 3 is that it lacks any sense of urgency or direction. Apart from a couple attacks, nothing in these episodes is as engaging as the pilot. After the end of episode 3, the show gets that sense of urgency and pace back. But, the show is never as good as the first 20 minutes until the finale. Another issue I had with episode 2 and 3 was the romantic subplot between David and Julia. It did not work for me at all. The only reason I’m pointing it out in these episodes is because this is where it is explored the most. It feels extremely forced to me. I understand that they needed it to make the opening of episode 4 more powerful but I can’t help but feeling they could have taken a different route like friendship to still make it impactful. The romance didn’t work. I also felt like they could have done something else but I can’t get into it without spoiling the show. Thankfully, Bodyguard gets a sense of direction back during the second half of the season. What happens in the third episode sets the stage for this and makes the rest of the show super intense. In particular, the finale is full of shocking revelations, betrayal and is super tense. I won’t spoil but I was not even remotely suspecting some of the reveals in this episode. Richard Madden is also fantastic in Bodyguard. I loved the writing for his character and how complex they made him. Madden nailed the complexity of the character and there are several moments where he manages to balance the charm of the character and at the same time show how broken he truly is. He was fantastic in Game of Thrones and he’s great in Bodyguard. Furthermore, he had had great chemistry with Deepak and Rayburn. Those two were also pretty interesting characters and the best part about getting a season 2 is that we hopefully get even more development for the supporting cast. The character also had a great relationship with wife Vicky and that whole arc ended in a satisfying manner. As much as I would love to return to a lot of these characters, part of me wishes they wouldn’t do a second season. This is because I felt Budd’s character arc wrapped up in an extremely emotionally satisfying manner. I’m not opposed to the idea of Bodyguard season 2 but I wouldn’t be extremely disappointed if we don’t get one. Also just for a small comparison because my friends and I talked about this. I felt like this season was similar to Jack Ryan(review up on the site) and what I felt this season did better than Jack Ryan was have more focus on the protagonist and not have useless subplots. Bodyguard was extremely focused on the main plot and all subplots linked to the main story in the end. Unlike Jack Ryan where there were a few useless subplots. Overall, Bodyguard’s focus on the story and protagonist’s development made it great. It is also an extremely intense and well-written season despite minor pacing issues. I’m going to give it an A-.